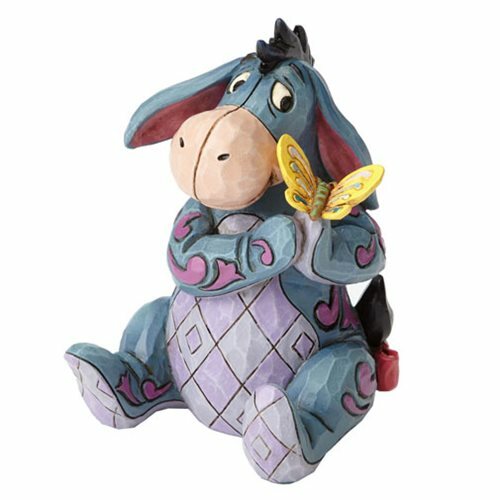 Eeyore makes a new friend with a colorful butterfly in the Disney Traditions Winnie the Pooh Eeyore Mini Statue. This beautifully crafted statue is designed by Jim Shore with his folk art styling. The statue is made of stone resin and measures about 3 1/4-inches tall x 2 1/4-inches wide x 2-inches long.